Bonding: Bonding of insulation, even on wet surfaces. Tec 7 does not dissolve polystyrene foam. As a mounting adhesive for bonding skirting boards, lathing, sidings, eaves, laths on brick, gyproc, celular concrete, Ytong, mortar, etc. 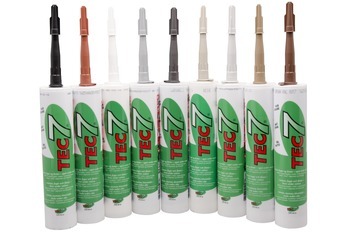 Tec 7 replaces mechanical attachments.As a sealant for both wet and difficult surfaces. Does not attack natural stone like marble, Belgian blue stone and granite. Ideal as a sealant between windows and brickwork. Can be painted perfectly, even with acrylate dispersion paints.Windows and Verandas: bonding of glass in synthetic and aluminium profiles, bonding of adhering pieces and corner pieces in the production of windows. 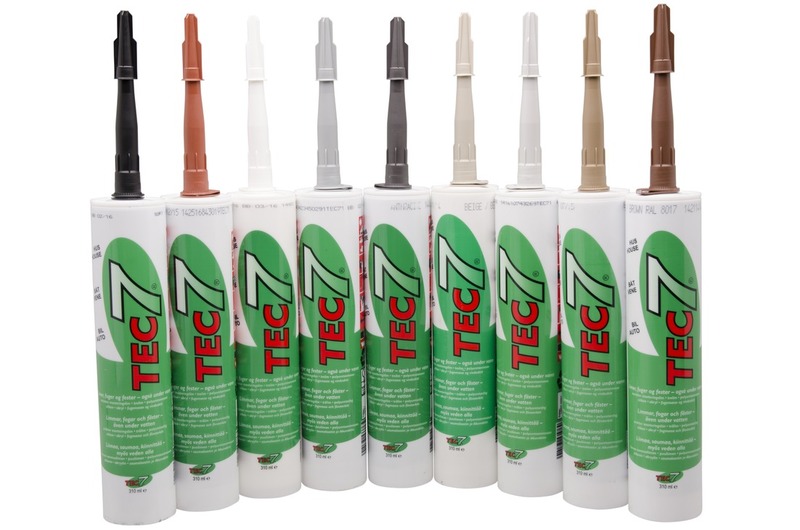 Tec 7 can seal, mount and bond all common building materials – even under water, eliminating the wait or need for damp or wet surfaces to dry and meaning you don't have to carry the usual assortment of adhesives and sealers to each job.